(Corvallis, OR) – Officials from Business Oregon, the Oregon Department of Agriculture, local economic development partners, including the Corvallis Benton County EDO, and existing Oregon food companies are headed to the 35th annual Natural Products Expo West in March (5-7) in hopes to not only attract food processors to Oregon, but to promote existing Oregon companies and goods. Traveling as Team Oregon Food Processing, the group will set up an Oregon booth and representatives will work the event, meeting with companies that attend. It was at this show that the team first met Chaucer Foods, a company who later chose Oregon to open a new freeze-dry manufacturing facility, bringing with them 73 jobs. Joining the team are six emerging food processors from across the state to exhibit in the Oregon booth. These companies will be able to sample and display their products, set up appointments with buyers and make industry contacts to expand their businesses. Puddin’ River Chocolates, Canby Creates irresistibly unique, homemade confections. Julie’s Originals, Portland Produces gluten-free baking mixes that are amazingly delicious and super easy to make. OilExTech, Corvallis Distill high quality essential oils safely in 6 to 8 minutes in innovative new microwave product. NuCulture Foods, The Dalles Makes crazy-good plant-based cheeses. Masala Pop, Portland Makes handcrafted Indian-spiced popcorn products. Nature Fresh Farms, Aurora Grows hull-less pumpkin seeds. These businesses will be in good company with more than 84 other Oregon firms exhibiting at the show. 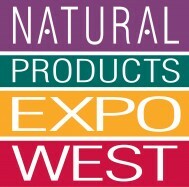 Natural Products Expo West is the world’s largest event devoted to natural and specialty foods and beverages, organics, supplements, health and beauty, natural living and pet products. The show boasts more than 2,600 exhibitors and expects to attract over 60,000 attendees, including manufacturers and buyers. • Lane County Community and Economic Development, McMinnville Economic Development Partnership, Business Oregon, Strategic Economic Development Corporation (SEDCOR), Portland General Electric, Oregon Department of Agriculture, Clackamas County Economic Development, Food Innovation Center, Oregon State University, Pacific Power, City of Forest Grove, Snake River Economic Development Corporation, and Malheur County Economic Development.